Facial recognition software is good for more than just tagging photos of your friends on Facebook. 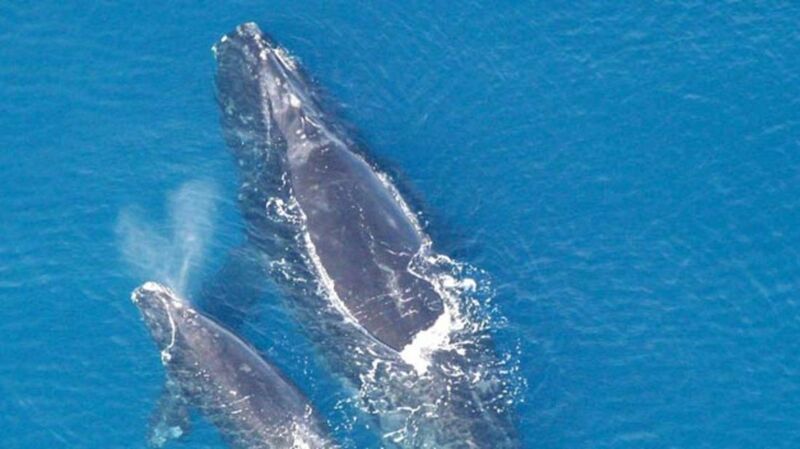 The technology is now being used to identify individual whales from above. Christin Khan, a biologist who studies North Atlantic right whales for the National Oceanic and Atmospheric Administration, was inspired by a specific detail she often captures in her aerial photographs of the animals. The whales Khan studies have distinctive pale markings on their heads called callosities, which are areas of raised thickened skin. The light color comes from the thousands of "white lice"—small crustaceans called cyamids—that call the callosities home. These spots are similar to thumbprints in that their unique patterns can be used to distinguish whales from one another. Determined to turn her observation into a practical tool for research, Khan took her idea to the internet. She offered users on the data competition site Kaggle a $10,000 prize provided by the software company MathWorks to develop an accurate facial recognition software for right whales. Nearly 500 people vied for the top prize, and it was ultimately awarded to the data science company Deepsense.io, whose software was able to identify the whales with about 87 percent accuracy. The initial data set was composed of 4500 whale pictures, and the team says they will need more photographs in order to improve the technology. In addition to its applications in whale research, the software could also have a more direct impact on whale conservation. When a whale becomes entangled in a net, fishing crews could use it to ID the trapped whale and gather information about its health history to inform a course of action. According to Khan, it will be another year before the research team is prepared to use the software in the field. Similar identification technology is currently being pursued for humpback whales, which can be told apart by their distinctive tail flukes rather than the markings on their backs.